Hypnosis is applicable in almost every area of medicine, dentistry, and psychotherapy either as a primary treatment choice or as one that is used adjunctively. The clinician's familiarity with treating the presenting problem nonhypnotically is preeminent. Knowledge of hypnosis is like the buttress of the central structure— one's specialty field. The clinician must stay within his or her area of expertise when utilizing hypnosis. Moreover, it is not so much whether or not to apply a hypnotic procedure that the clinician will ponder, but rather the responsiveness of a client to such a procedure that will be a decisive factor in whether to use hypnosis or not. This leads to the inquiry about hypnotizability of a client that is discussed under phase III of patient preparation. Research has shown hypnotic responsiveness to be unrelated to gender (Spiegel & Spiegel, 1978), and of some relationship to age. Children are particularly good subjects, with their hypnotic ability peaking between ages 9-12 (LeBaron & Hilgard, 1984). Their hypnotic responsiveness seems related to their ready ability to use fantasy and imagination (Wicks, 1995). 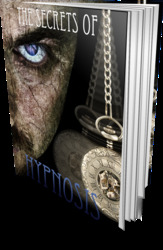 Since most people can be considered as candidates for hypnosis, it may be that judicious timing of the introduction of hypnosis is a factor in outcome. Timing of an hypnotic intervention, as its own variable, has received little attention from researchers, and timing of the introduction of the idea of hypnosis has received none, to my knowledge, perhaps because it is such a complex matter of clinical judgment and patient variables such as readiness, pathological presentation, and expectations. On some occasions, hypnosis may be applied in an emergency situation without following all of the steps suggested in preparing the client. Examples of such rapid interventions mostly include pain management of serious physical injuries. Such interventions are best left in the hands of the experienced clinical hypnotherapist. You Can Experience Freedom From Stress, Anxiety, and Pain And Find The Power To Overcome Destructive Bad Habits. Have you had a problem that was beyond your capacity to fix? Drinking or smoking too much, constant worry and fearful thoughts, or even surprisingly violent or hostile behavior toward others?